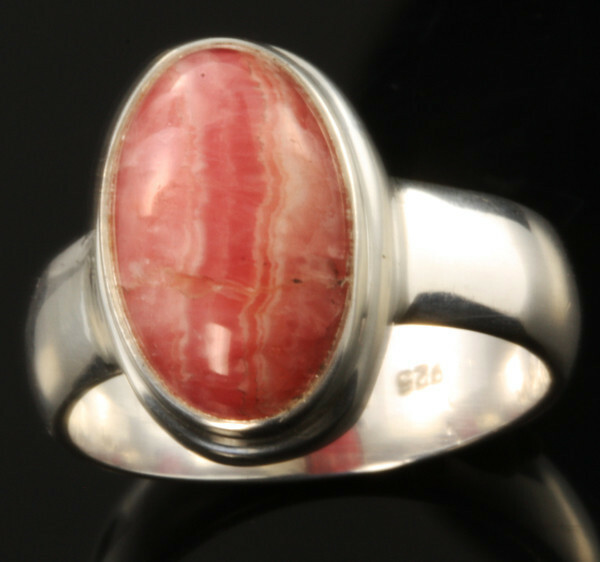 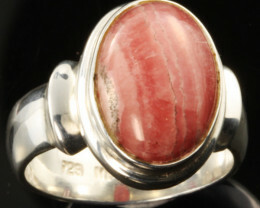 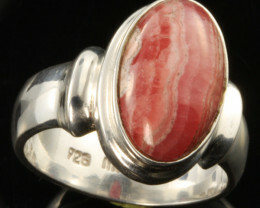 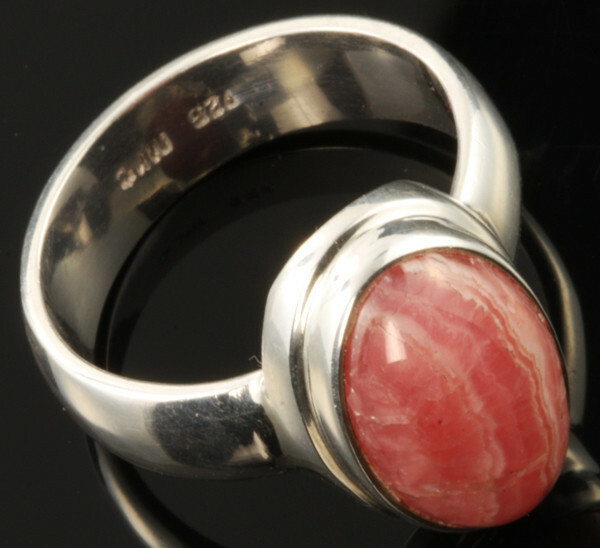 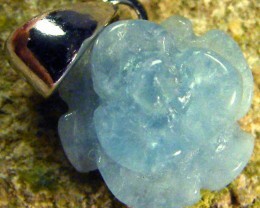 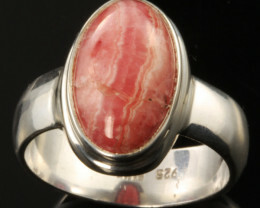 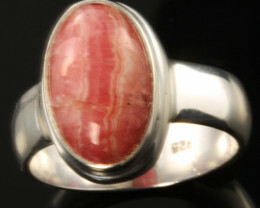 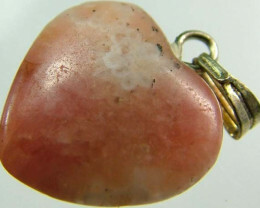 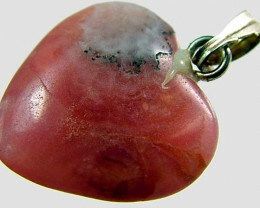 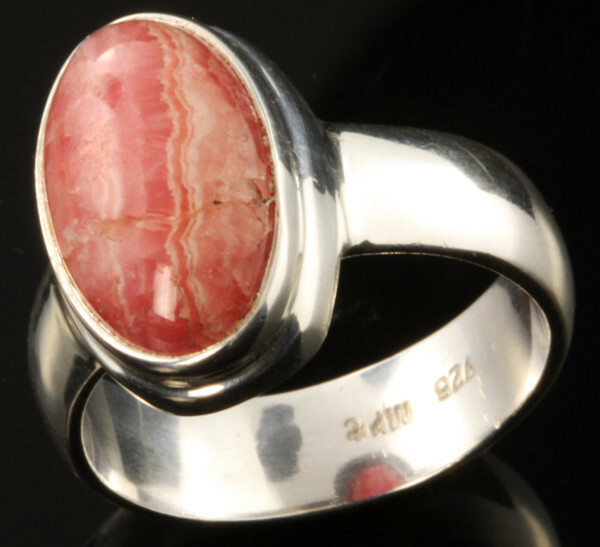 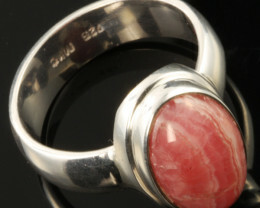 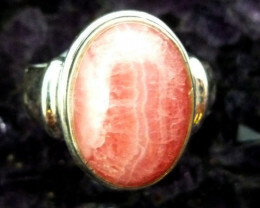 This is a natural untreated stone set in silver and ready to wear.Rhodochrosite (whose name means rose-colored) is a very attractive mineral of a ore of manganese with an absolutely one-of-a-kind, beautiful color and amazing patterns that makes it a very popular mineral.Ideal as a pendant. 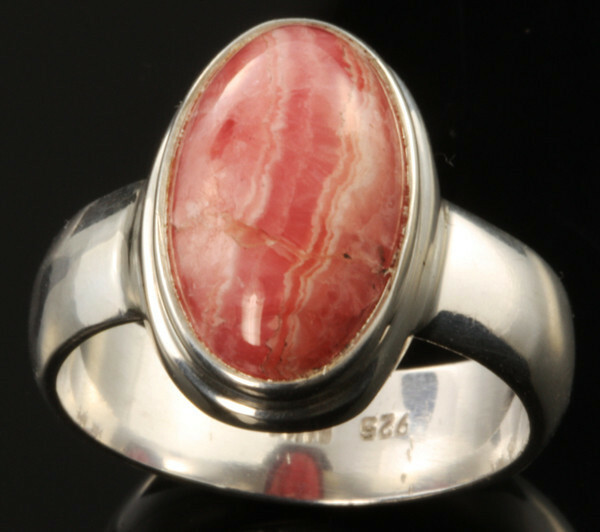 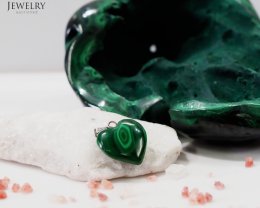 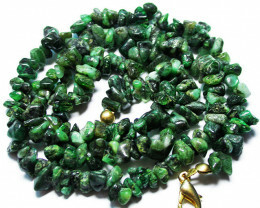 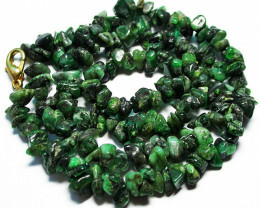 This material was mined and cut in Argentina .The stone is cut from a stalactitic which gives the ronded pattern making it a collectors item. 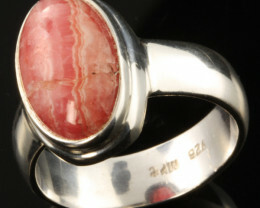 We have included a photo of both sides of the stone.